If you’re an online marketer, you may already be fully aware of the importance of SEO and social media as powerful online marketing strategies. But with all the talk going on about Social SEO, do you know how to make SEO and social media work together effectively? Since the launch of Google+, Google has placed greater value on social media. Social signals such as Facebook shares, likes, tweets, etc., currently form a big part of what Google and other search engines look at to determine a site’s ranking. Most of today’s top-performing sites that appear among Google’s top SERPs have solid social media marketing strategies in place for their business. Those strategies obviously make a solid contribution to the companies’ high rankings. What are the steps you should take to ensure you have a solid social media and SEO strategy in place for your online business? Not all social media spaces are created equal. Facebook, Twitter, LinkedIn, and Google+ all cater to social media enthusiasts, but they have somewhat different audiences. Facebook is generally dominated by young adults. Twitter and Google+ users are similar, but LinkedIn tends to attract mature adults who are professionals and entrepreneurs. After determining which social network is best for your type of business, create a page. It doesn’t end there, however; that’s only the beginning. To really make the site work for you, you have to keep whatever social media page you create active by updating it constantly with useful and valuable information for your audience. Also, strive to add followers to your pages by inviting your friends and friends of your friends to follow your page. You can also blog about your social media page for further exposure. Do this on a consistent basis to grow the number of your followers. One of the surest ways to make your content share-worthy is to make it interesting, extremely relevant, and valuable to your followers. If you manage to keep your content engaging and useful, you won’t even have to ask your followers to share your content to their networks; they’ll do it naturally. Another thing you can do is include social media share buttons into every page of your content. This encourages users to share your content at the push of a button if they like it. The more social media shares and likes that your content gains, the more signals it sends to the search engines about the popularity of your site(s). And the more you publish fresh content on a regular basis, the more likely the search engines will pick up your site. Keep in mind that one of the things Google evaluates when it determines a site’s ranking is freshness. You don’t always have to wait for your visitors to share your content. You can proactively share your own content to your network. Share the content you publish to your Facebook friends, Twitter followers, LinkedIn groups, and Google+ circles. Bookmark your content on StumbleUpon, Reddit, and Digg. After posting your content on your social networks, ask your friends to re-post, like, or share your content for maximum exposure. The more your content gets shared, liked, and re-shared, the more social signals Google receives about how your content is performing in the social space. 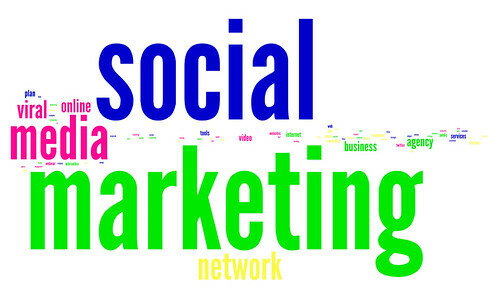 Social signals such as shares, tweets, and re-posts are increasing in importance as far as SEO is concerned. This is especially true for content shared via Google+, because it’s Google’s own social tool. Content posted or shared via Google+ gets indexed and displayed in personalized search results. Behind all your online marketing efforts should be quality. The higher the quality of your content, the better it will rank in search. And the finer the quality of your content, the more likely it will get shared far and wide in the social media space — all of which will cumulatively boost your ranking with the search engines. For more information on how to create a potent social media strategy to increase your site’s ranking in search, contact us for a free assessment.